Last night one of my girlfriends hosted a Christmas party for all of us girls (didn't take any pictures...boo). Everyone brought food and wine and it was a great time catching up on gossip and sharing stories about my wedding. We even did a mini gift exchange. Anyways, I was assigned to bring desserts and since I now have a nice big kitchen, I got Suzie Homemaker inspired and spent most of Monday night cooking up different Christmas treats. Most I found off of Pinterest and while they all didn't end up looking like the photos from Pinterest, they tasted delicious...so I still considered them a success. What they should have looked like - I used whip cream and it melted funny by time I got to party, didn't look this good...but still tasted good! I didn't get a picture of mine. These were my favorite of the desserts I made - sooo good. I used the icing recipe from this site below, but for the cupcakes, I just used a chocolate cake mix from Pilsbury. 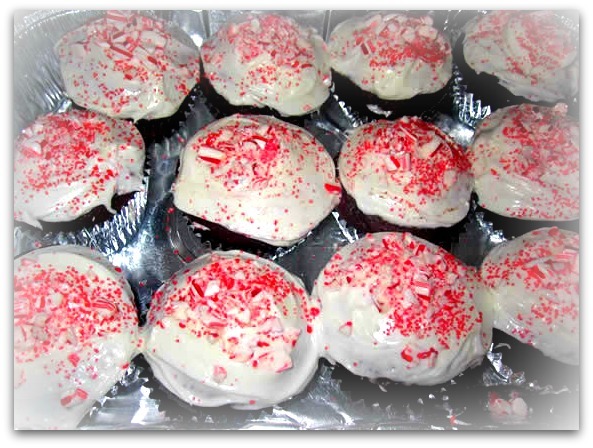 My version - pepermint icing topped with crushed candy canes and red sprinkles! 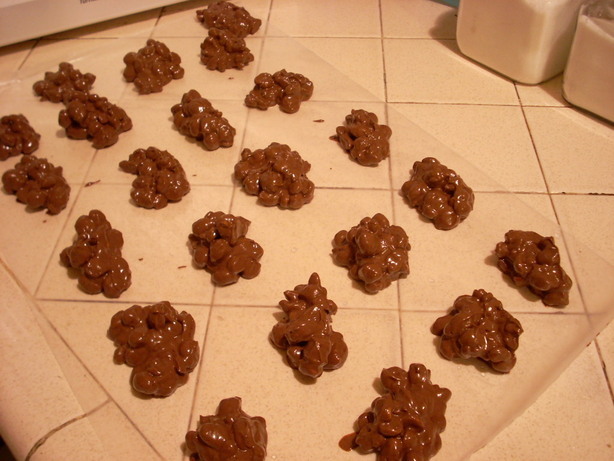 I didn't really follow a recipe with these, so that's probably why mine looked nothing like the Pinterest photo, lol. 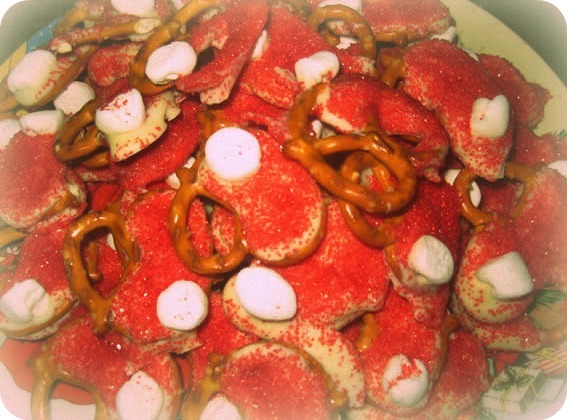 I just slathered melted white chocolate on the pretzel and topped with red sprinkles and half of a mini marshmallow. But these tasted Ahhmazing...everyone loved these. My version - not quite as pretty... might need to make a Pinterest "Nailed it!" photo. 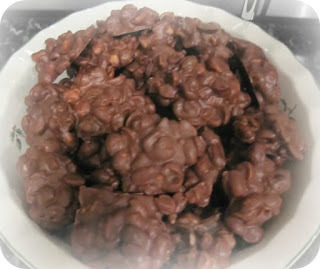 This recipe calls for a crock pot and is super easy...I got this recipe from my sister-in-law who got it from this website. You literally put all the ingredients in your crock pot and let sit for 2 hours or so, then scoop out little clumps and place on wax paper, then stick in the fridge. Yummy! With all the wedding preparation, we weren't really getting to enjoy the holidays as much...so I'm excited to have more free time and will be sad once Christmas is over. The husband (ahh, still feels weird to say) and I will be doing dinner and James Island Park Festival of Lights tonight. So excited!